What is the Federal Reserve Central Bank (the Fed)? The Federal Reserve, more commonly referred to ‘the Fed’, is the central bank of the United States of America and is hence the supreme financial authority behind the world’s largest free market economyMarket EconomyMarket economy definition - a pure market economy is an economic system where there are no regulations and players are free to trade as they please. Because of the magnitude of the US’ influence on the global economyBusiness CycleA business cycle is a cycle of fluctuations in the gross domestic product (GDP) around its long-term natural growth rate. It explains the expansion, peak, recession, depression, trough, recovery, expansion, and the entire business cycle keeps repeating in this loop. See examples and descriptions of the stages., ‘the Fed’ is considered one of the most influential financial institutionsList of Top Investment BanksList of the top 100 investment banks in the world sorted alphabetically. Top investment banks on the list are Goldman Sachs, Morgan Stanley, BAML, JP Morgan, Blackstone, Rothschild, Scotiabank, RBC, UBS, Wells Fargo, Deutsche Bank, Citi, Macquarie, HSBC, ICBC, Credit Suisse, Bank of America Merril Lynch in the world. The Federal Reserve, in addition to being the financial adviser and regulator of the US Government, handles the monetary policiesMonetary AssetsMonetary assets are assets that carry a fixed value in terms of currency units (e.g., Dollars, Euros, Yen). They are stated as a fixed value in dollar terms even when macroeconomic factors such as inflation decrease the purchasing power of the currency. of the government independently and without legislative intervention. In addition to that, it performs all other functions of a central bank – regulating bank activities, conducting surveys about the US and global economy – all under the common objective of maintaining financial stability. The Federal Reserve is headquartered in Washington D.C. The Fed was born indirectly out of the “Panic of 1907,” and the overall economic situation of that time. The last quarter of the 19th century and the beginning of the 20th century were characterized by recessions in the US economy. A series of financial panics forced eminent bankers like J.P. Morgan and John D. Rockefeller Jr. to call for a new central banking system. The country’s dire financial situation then prompted Republican Senator Nelson Aldrich to set up two separate commissions to study the American monetary system and the European central banking institutions. Aldrich was highly influenced by the model of the Bank of England and the German monetary system. Although his initial proposals were repeatedly rejected by Congress, a reformatted bill was finally passed on December 22, 1913. The Federal Reserve is the central bank of the United States and thus, is responsible for maintaining the overall stability of the country’s economy. Conducting monetary policy – The Federal Reserve, through its monetary policy, strives to achieve three major objectives as laid down by Congress: maximum employment, stable prices, and low long-term interest rates. The Federal Reserve controls inflation, investment, and other economic parameters by controlling the availability of credit in the economy. Promoting financial system stability – The Federal Reserve ensures the stability of the US financial system, monitoring internal and external influences, and preventing any future crisis. 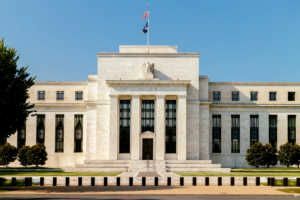 Regulating financial institutions and their activities – The Federal Reserve supervises the activities of financial institutions and controls their impact on the economy as a whole. Fostering payment and settlement system safety – The Federal Reserve works to ensure a glitch-free secure system for payment gateways for the benefit of the American citizens. Promoting consumer protection – Consumer rights are an integral component of the financial services sector, and hence the Federal Reserve works continuously to ensure these rights for all consumers. A seven-member Board of Governors oversees the overall responsibilities of the monetary body as a central bank – managing the activities of 12 regional banks, framing monetary policies, and supervising the economy in general. Each member of the Board is appointed by the President on 14-year terms, while the Chair and the Vice-Chair are appointed by the Board for four-year terms. At present, three of the seven places on the Board are vacant. The Federal Open Market Committee (FOMC) is the committee in charge of handling open market operations, which is an important component of monetary policy. It is a 12-member committee, consisting of all seven members of the Board of Governors, and the Presidents of any five of the regional banks. The representatives of the regional banks are chosen for two to three-year terms, while the President of the Federal Reserve Bank of New York is a permanent member. The regional Federal Reserve Banks, 12 in number, are tasked with carrying out the monetary policies as prescribed by the Board. A nine-member board sits on each bank, with an internal President. Each of these banks carries on its own operations besides its regulatory role, holding securities and giving out loans. A member bank is a private financial institution that owns stock in its regional Federal Reserve Bank, earning profits from the stock. From the profit that the stock earns, the banks receive a 6% dividend, while the rest of the profit goes to the US Treasury. Thank you for reading CFI’s article on the central bank of the United States. To learn more about economies, markets, and economic policy, check out the following resources.